Originals...an original Picasso painting sold for $155 million in 2013. An original Jackson Pollack…$140 million in 2006. A Warhol? $100 million in 2008. Prague...no, it isn’t up for sale, but it is original and priceless! In fact, Prague is home to the world’s largest castle, spanning over 18 acres. Talk about original and priceless! And no one brings you Prague like Monograms. 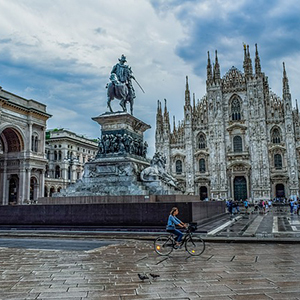 On this 4-day vacation, we've arranged your hotel reservations, daily breakfast, and sightseeing with a local expert. Plus, so that you’ll feel comfortable in the city, we've included the services of a Local Host®, someone who will be on hand to answer questions, offer suggestions, give you insights, and make sure your vacation runs smoothly. Your vacation begins the moment you arrive in Prague, as we can pick you up at the airport and whisk you seamlessly from baggage claim to your selected hotel. Here, your Local Host will greet you with a warm welcome and a set of materials to help familiarize you with the city and to personalize your vacation. 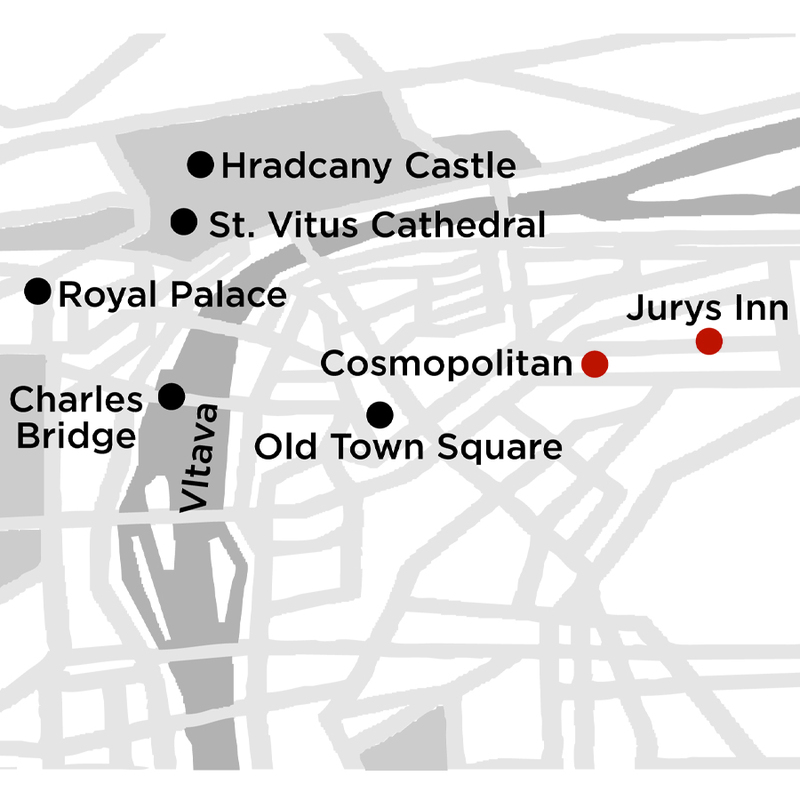 The next morning, after included breakfast, we’ll pick you up at your hotel for guided sightseeing with an expert local guide, someone who knows the city's fascinating history and will share inside stories with you. Your sightseeing features the Hradcany Castle courtyards. The castle, dating to the 9th century, is the largest castle complex in the world. We’ll also take you to Staromestske Square, surrounded by historic buildings and beautiful churches. 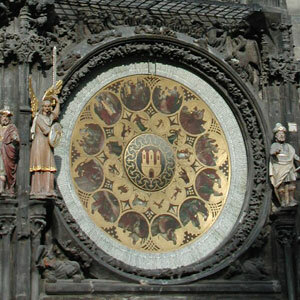 Here, you'll see the Astronomical Clock, Prague’s most identifiable icon dating to 1410. You’ll have a full day in Prague to explore on your own (with the support of your Local Host, of course). You may want to take a tour of Prague's Jewish Quarter, dating back to 1096 and with Europe’s best complex of Jewish historical monuments, or visit Terezín, a nearby fortress used as a concentration camp. Perhaps shop for souvenirs along Charles Bridge, dating from 1357 and one of the oldest stone bridges in Europe, or explore the castle complex. Maybe visit the Museum of Communism or just relax as you enjoy a Czech beer. Your Local Host will have suggestions and can help you arrange your activities. Prague is a fascinating city, and Monograms wants you to enjoy it thoroughly. That's why we've arranged your hotel reservations, guides, daily breakfast, and sightseeing. Add the comfort of knowing you’ll have a Local Host throughout your stay to help you feel at home, and all you have to do is sit back, relax, and enjoy! You want to see the world, but you don't know where to begin? Well, we're Monograms and we began a long time ago — putting all of the planning, arranging and coordinating into an all-in-one package. A package that ensures you won’t find yourself forced into the unknown. Monograms factors in your travel dreams while conquering travel obstacles, trading worrying and wondering for wonderment. In places where you won’t even begin to know your way, you’ll never feel lost with Monograms. You have a choice in travel. You can choose to go it alone, or you can choose to feel like a local. That’s the Monograms difference – and why those who travel with Monograms never travel any other way again.